Quiltville's Quips & Snips!! : FIVE Winners for The Sewing Party! FIVE lucky winners are being pulled via random number generator and each will receive a ticket to attend the first ever online all-day DIY event in history! On November 8, 2014, thousands of DIY’ers will gather for a fun-filled day of sewing and crafting classes taught online by leading bloggers and educational experts. If I didn’t draw your entry, don’t worry! For just $40, “The Sewing Party” participants can attend classes; chat with participants from across the country; interact with top bloggers and educational experts who are teaching; and explore the latest crafting and sewing tips, techniques and products in our marketplace. Where other online venues of classes may cost you $30.00 or more per class, you can watch ALL of the classes you want online during the 90 days after for the $40.00 registration fee. Space is limited and likely to fill up fast! Let’s draw 5 winners from our 426 entries! If I do draw someone who happens to be from outside the USA, please let me know and I will send you a consolation prize from my own stash to make it up to you! And our final winner, #5! Congrats, Ladies!! I have sent you all emails. Please get back to me with your snail mail address so I can pass it on to the folks at THE SEWING PARTY! 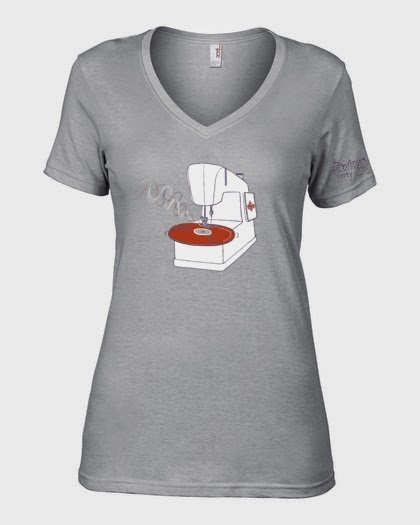 Anyone who registers for “The Sewing Party” THROUGH TODAY ONLY will receive a free “The Sewing Party” t-shirt! The t-shirts are SUPER cute and valued at $20. Simply enter LETSPARTY in the Promo Code box when you register. They will reach out to you about ordering t-shirts in your sizes. Click HERE for the line up of classes! Who are the instructors? Click HERE! What other blogger friends are behind the scenes? Click HERE! Click the RSVP above to register! There is QUILT-CAM tonight! I know some of you are so eager, you were sending emails LAST night wondering where it was. TODAY is Wednesday. ALL DAY LONG. And I’ll be ready and eager to sew with you tonight at 9pm EST. Congrats to all the winners, I don't know how I missed that contest, OH well. Bonnie I like the new cover picture of your dearly loved first quilt. Thanks. Jean Farley jefarley@charter.net. I think we all have lost track of days along the way - Maybe our brains are over "quilted" :)?! It's a beautiful lazy, lemonade summer day in Minnesota too. See you tonight (Wednesday) Quilt-On! Today is Wednesday. All day long. Ha ha! I love it. Looking forward to Quiltcam--always! 1. Congradulations to the drawing winners enjoy your prizes. 2. Bonnie, not complaining or asking you to "fix it"
I just want to let you know I have been "missing" some not all of your new blog post notifications....... I found them in my "junk mail" folder. I am 63 self taught about computers while raising a child now I have 5 grandchildren teaching and asking me how to questions! How did you install your apps Grammy ? Ah your dad did it for me. What's your pass word I want to get a blah blah game on your phone. Colleen, I've had a lot of my newsletters go to SPAM, too, lately. If I don't see one of my registered shops or blogs, I just check SPAM. It might help to put Quiltville in your contacts.